School was out and the weather was beautiful. 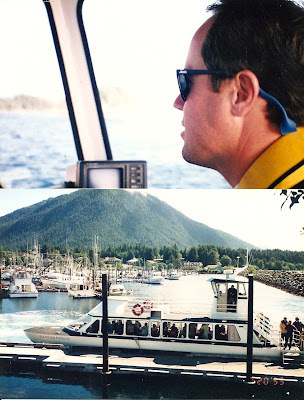 Early summer in Sitka, Alaska usually brought plenty of rain with only scattered sunshine. But this year was different. The fact that Trevor was home from Arizona for the summer before leaving for his 2-year mission seemed to make the whole world shine. 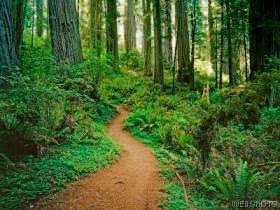 Sitka is located on Baranof Island and boasts the wilderness as everyone’s backyard. The town is just a strip along the seaside and from end to end is only 14 miles. I would get the family up and moving, then take off on my hour of solitude – walking the 3 ½ miles to pick up our mini van from Brad’s work. That hour alone each morning was my meditation time. I loved it! That’s when I would write my next article in my head, plan the next family trip, create our menu for the week. Even with the sun shining, the temperature rarely rose above 60 degrees, so I could walk briskly and stay comfortable. I noticed just a month or so into summer that by the time I’d arrive at the van my legs would be “buzzing”. It felt as if all the blood had rushed to the surface and was jumping around trying to get out. This would last for less than an hour and I’d soon be busy enough with the day to forget that I had even felt anything. Three years earlier our family got into local television. We had a great magazine-style show, “Discovery Southeast” which I got to host and the rest of the family put a great many hours into behind the scenes. Summer was a busy time for everyone, so the editing of these weekly shows became my responsibility by default. Editing is time intensive and I really didn’t want to take time away from family – so I’d often stay up late into the night to get this less than enjoyable job completed in time for the show to air that week. 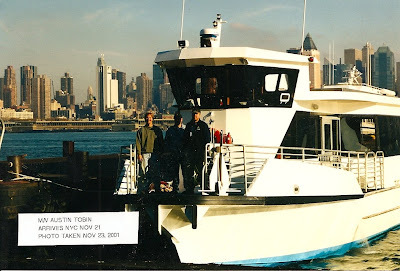 Additionally, this was the summer that the company Brad worked for was making and delivering ferry boats to New York – Brad was the delivery captain which meant I was both mom & dad when he was traveling. I was “burning the candle at both ends”. 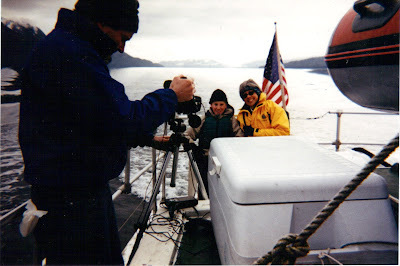 One of the great things about living in Alaska was that friends and family would visit each summer. Those pictures are remarkable Denalee. it alwasy amazes me how much you have experienced and what a positive outlook you have on life. It looks amazing! i've been to Alaska but never to Sitka. what absolutely gorgeous pictures! i have always wanted to visit alaska. maybe in my next life. til then, i'll just come here and drool. You've hooked me, can't wait to read the rest of the story but I'm in awe that you walked over 3 miles in an hour - that's a good clip friend! Wow, that is so beautiful. I have always wanted to see mountains with snow atop them like that. So amazing! What a wonderful post.....Oh how I want to see Alaska..that is on my Bucket List!!!! Thanks for sharing with us!! Looks stunning. I mean, just gorgeous. My dream vacation is to Alaska. The pics made me want to go even more. Didn't realize you had MS. Interested in hearing more. The photo's are so beautiful I can not even imagine how stunning it is in real life! This post is stunning. Absolutely gorgeous! Thank you for sharing these lovely photos and memories with us. Alaska truly looks like God touched every last piece land there. I have never been but I have always wanted to. Your post is making it impossible to resist!